I have been involved in outreach efforts, whether its in my home country, India or my current home, Canada. While at University of Toronto, I was involved with Astronomy & Space Exploration Society in many ways including held an Outreach Director position. When I moved to Western, I got involved as a co-host/editor for Western Worlds podcast, produced by Centre for Planetary Science and Exploration (CPSX). I moved onto to the role of producer and showrunner after the first two seasons. Currently, I am a co-host and assistant producer for this podcast. In the previous outreach positions, visiting libraries, groups and classrooms in southwestern ontario was part of my assistantship. 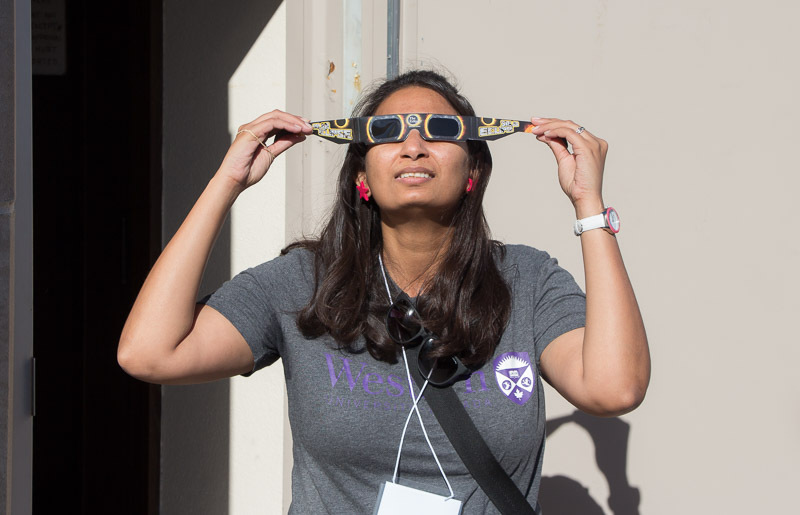 My passion for outreach grew stronger with the experience that I gained during my graduate studies at Western and it lead me to my current position as an Education and Public Outreach Coordinator for CPSX. 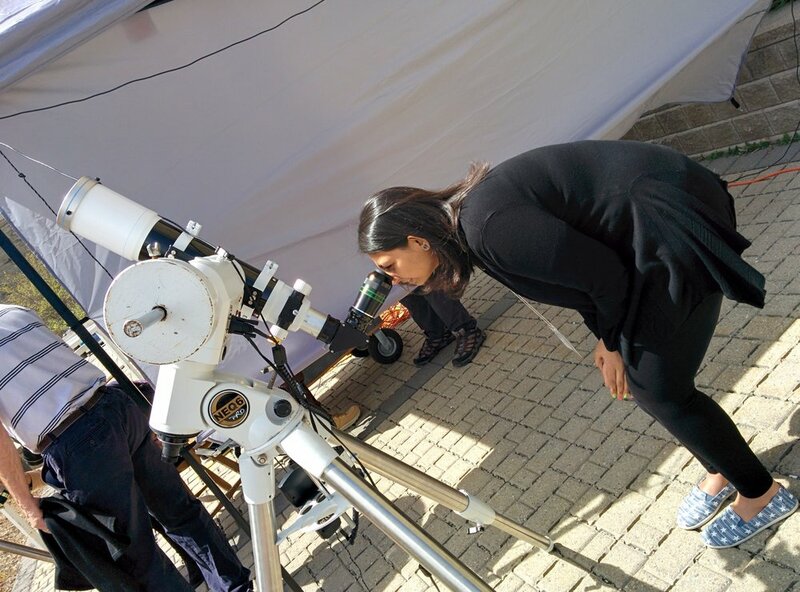 I enjoy talking to public and interacting with people and answer their questions regarding anything and everything in Astronomy and Planetary Science. In addition to being outreach TA for CPSX, I was also involved in running Exploring the Stars Astronomy Outreach Program, both as an administrator and instructor. This program allows groups to book a night at the Cronyn Observatory where they get a chance to look at celestial objects through the telescope, a presentation of their choice and an interactive activity. I was also involved in organizing Astronomy Triathlon for London Science Olympics for past three years. 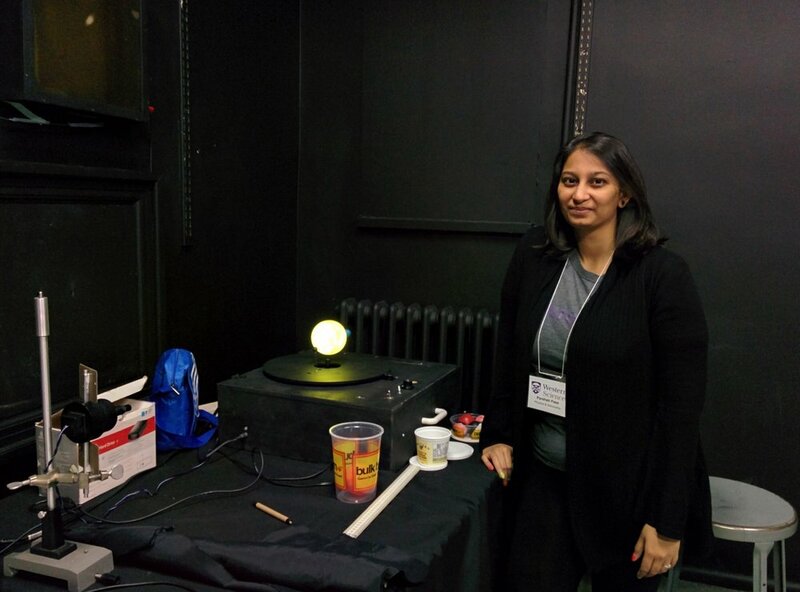 I have also volunteered at many department events such as working as a telescope operator or presenter at the Public Nights held at Cronyn Observatory. I have also served as panelist on a panel discussion on "Unexplored Space and What Awaits" at Physics Undergraduate Conference (2015) organized at Western University. 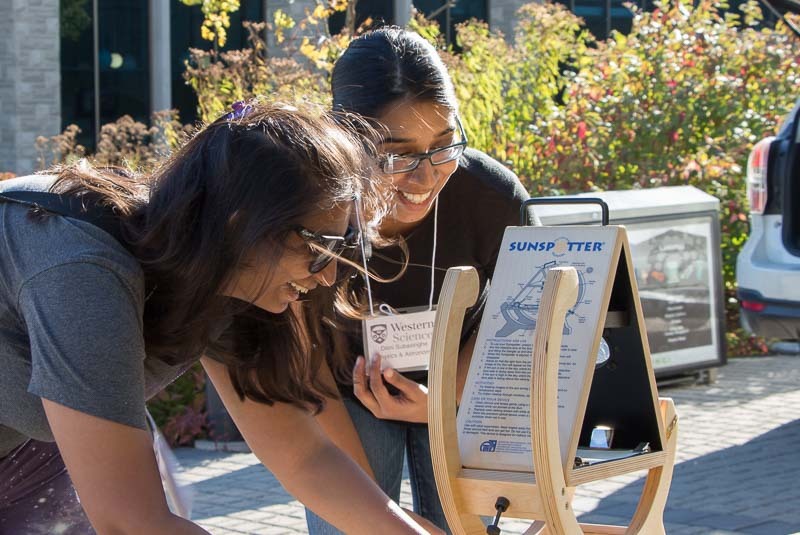 I was recently featured in the '100 Voices for Canadian Science Communication' by Science Borealis. While on one of my trips back home, I was invited to give a talk about my journey in Astronomy at Vedhshala (Local Space Science Center). In my last visit to India, I gave a talk about my research work at the Physical Research Laboratory in Ahmedabad (India). If you would like to invite me to give a talk, feel free to contact me (details in 'Contact Me' section). If my schedule allows, I would be more than happy to give a talk.